Mysticism is a wonderful collection of inspiring teachings on a surprisingly wide variety of subjects, including e.g. brotherhood and beauty. It offers an inspiring guide through life's puzzling ways. It has already been observed in the preface to Volume I of the Sufi Message that to arrange systematically the Sufi Mystic's work would be a very difficult task. Practically all the subject matter contained in these volumes consists of transcripts of lectures given by him during the years he lived and taught in the West from 1910 to 1926. The range and diversity of his subjects were remarkable, and very often the same theme was taken up again after an interval of several years and treated in a somewhat different way and in another context. Thus Hazrat Inayat's ontological teachings are dispersed over most of the volumes of this series. But in the last two years of his life he gave, in three series of lectures delivered during the Summer Schools at Sureness in 1925 and 1926, a highly interesting synopsis of the subjects he called Philosophy, Psychology, and Mysticism, in the particular sense he attached to these terms. The resulting book may possibly be regarded as the master's magnus opus. After having been used for a number of years as instructive papers at the Summer Schools subsequent to Hazrat Inayat Khan's death, they were published for the first time in 1956. This new edition differs slightly from the former in that the text, which has been kept so close to the spoken word that to read it was not always easy, has now been better adapted to the printed page. Naturally great care has been taken not to change the exact meaning of Inayat Khan's teaching. The present volume ends with a collection of Aphorisms which were first published in a very limited edition deluxe in 1927. 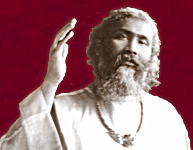 They consist of sayings and statements of Hazrat Inayat Khan which were collected by one of his pupils, but before authorizing their publication Hazrat Inayat Khan himself checked and carefully revised them. They vary from philosophical statements to poetical expressions stemming from a higher consciousness.